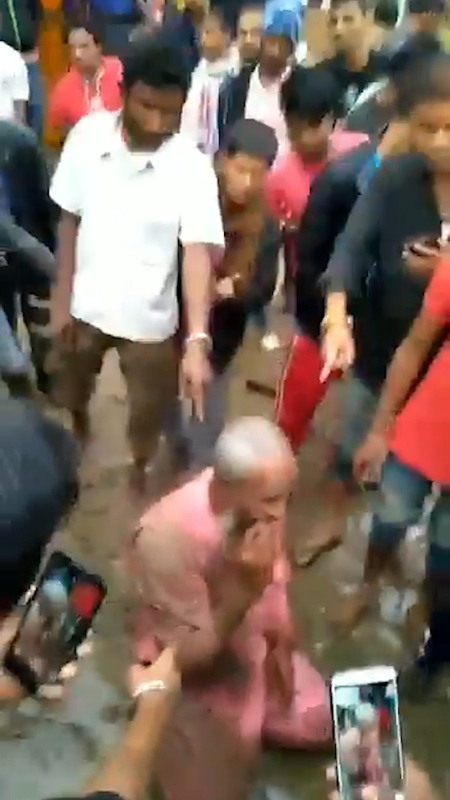 This is the moment a mob of Hindus force a Muslim man to kneel in the mud and eat pork after accusing the stall owner of selling beef. 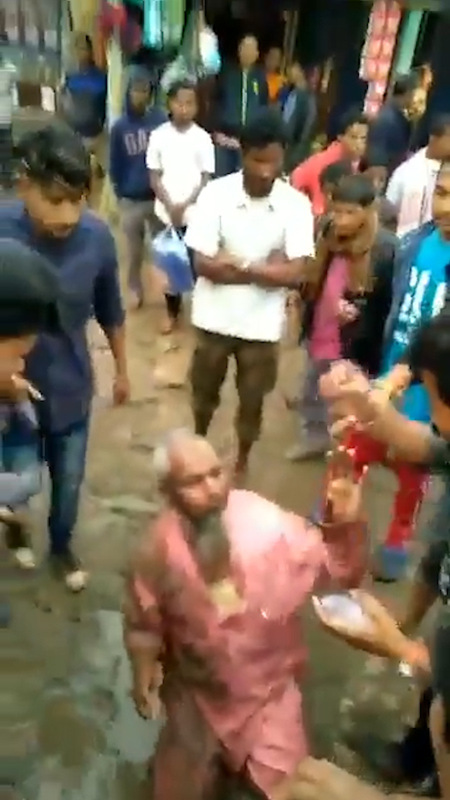 In the video footage seen over 291,000 times on Twitter, the elderly Muslim is seen kneeling in the mud as an angry mob insists that he eat a chunk of pork. 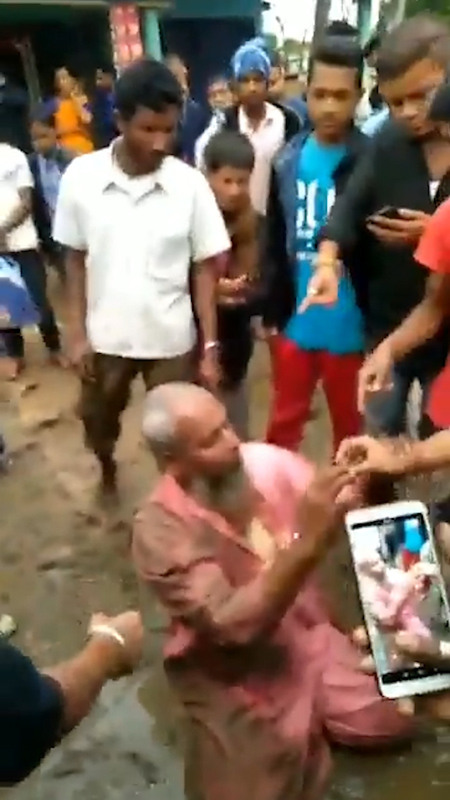 According to local media, Shaukat Ali, 68, was beaten and forced to eat pork in the district of Biswanath in the north-eastern Indian state of Assam. 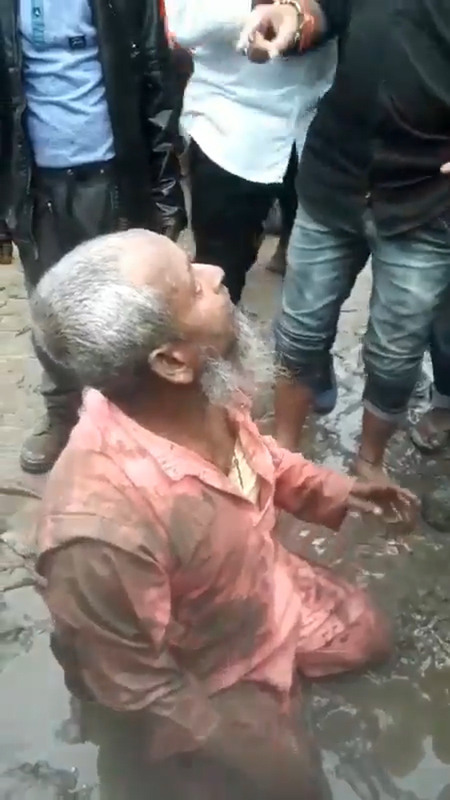 Reports said that he had been threatened by an angry mob after being caught selling beef and the Hindu nationalists asked him if he had a required licence and if he was from Bangladesh. 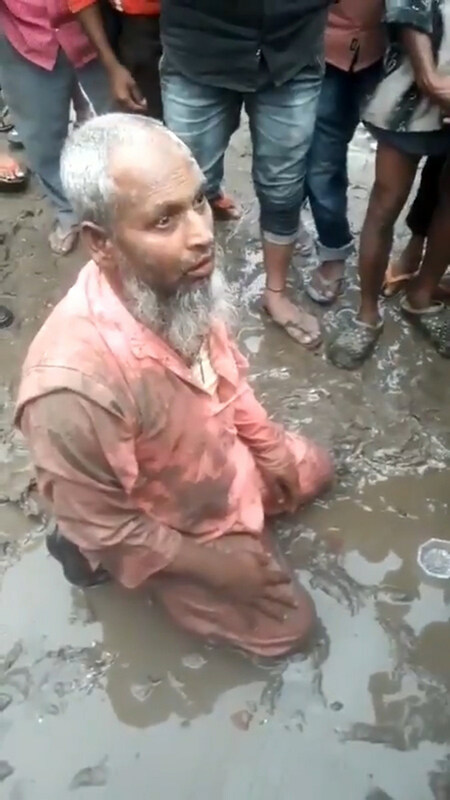 The state saw widespread protests earlier this year when residents complained that Muslim migrants from Bangladesh were putting a strain on resources. It came at a time when India’s lower house of parliament approved a bill that would give citizenship to non-Muslim immigrants, according to reports. Ali is currently being treated at a public hospital after allegedly being beaten by mob members. 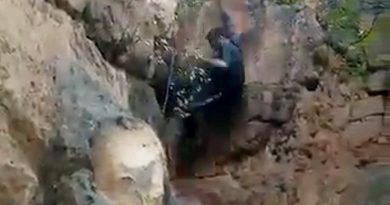 Meanwhile, the police have arrested one suspect and are trying to track down the other men in the footage. 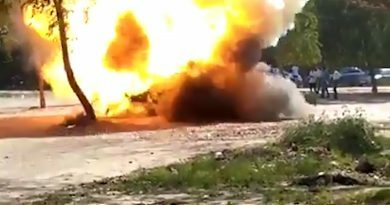 Police spokesman Kuladhar Saikia told local media: “The Superintendent of Police has been instructed to go strong about it. Nobody will be spared.